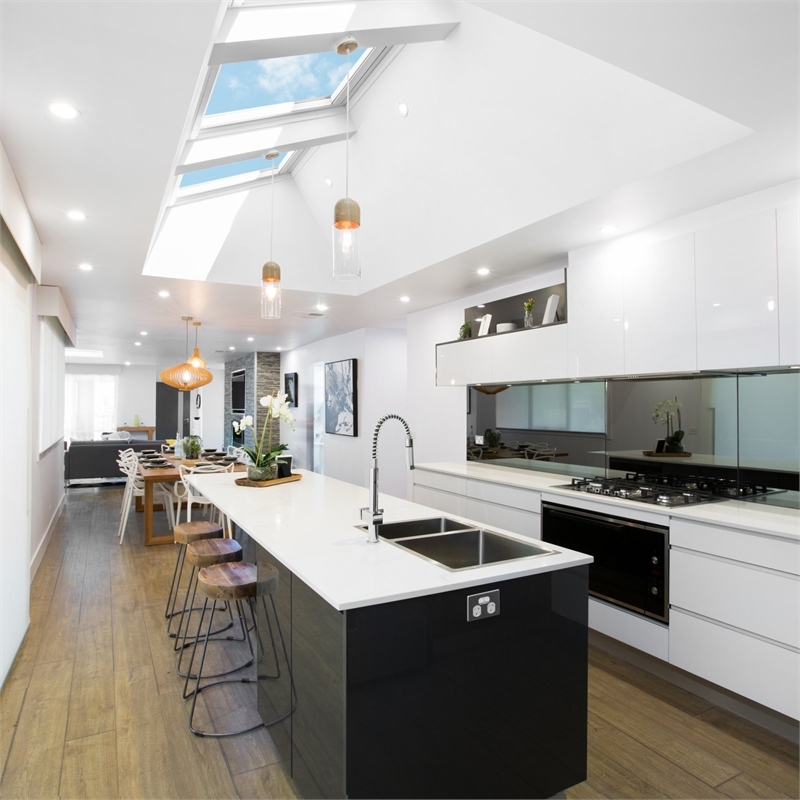 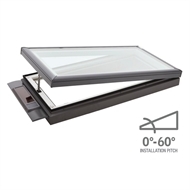 Suitable for flat roofs* and with on-demand electric controls as well as automatic programs operating the skylight on a timer, the VELUX Solar Skylight is the ultimate in smart skylights. Rain sensors are included as standard, and double glazing blocks approx 75% of radiant heat and approx 99% of harmful UV rays. With outstanding thermal efficiency, the VELUX Solar Skylight provides complete peace of mind. 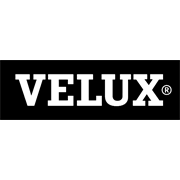 *VELUX recommends VCM is installed with a slight pitch (e.g. 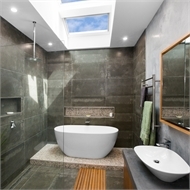 3-5°) to help prevent condensation build-up and water ponding on the glass.